Senvie Lux Intensive Skin Lightening Serum Review- Does It Work? In this review, the skincare product Lux Intensive Skin Lightening Serum is reviewed. The manufacturer, Senvie, claims that this is the world’s best skin-brightening cream. It has been formulated to reduce sun spots, age spots, skin discoloration, and hyperpigmentation. Continue reading for more about this product. Learn the facts about this product’s guarantee, its price, its ingredients and how to use this product. 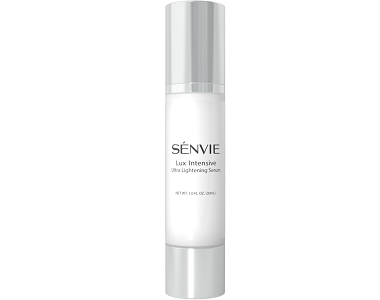 What’s in Senvie Lux Intensive Skin Lightening Serum? The substance licorice is a source of glabridin which protects the skin from UVB rays, thus preventing pigmentation of the skin. White willow, a natural exfoliator, helps to regenerate skin cells by removing the old outer layer of skin. In doing so, this process reduces the developing of blemishes. Green tea protects the body from free-radical damage. Vitamin E, an antioxidant, supports skin health, whereas glycerin helps to retain moisture in the skin. Nonetheless, the manufacturer fails to state which ingredients are inactive and which are active. More so, the product’s formula does not include any patented ingredients, which is the norm for quality products. How Do You Use Senvie Lux Intensive Skin Lightening Serum? The information on how to apply this serum is not clear: no information is given on the website. However, our research efforts unearthed the instructions. The consumer should apply the cream twice a day to dull and dry skin. Thereafter, sunscreen may be applied. 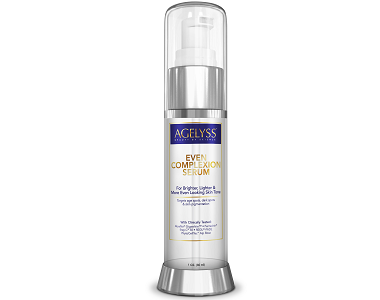 This anti-aging product is available online, direct from the manufacturer’s own website. A one-ounce bottle of this product costs $24.85 discounted from $34.97. Consumers can save a further 10%, paying $22.37 per bottle if they subscribe to a monthly delivery of this product. The purchaser’s credit card will be deducted. These programs are very difficult to cancel. Either way, the company offers free shipping on all orders within the US. There is a 100% satisfaction money-back guarantee on this product. The consumer has 90 days in which to return the product. However, the company’s policy is unclear. It does not state in which condition the product should be returned. On paper, this product Senvie Lux Intensive Skin Lightening Serum appears useful. It is backed by a guarantee and this product is presented with a discount, plus a further discount if locked into a contract. However, the company’s guarantee is vague. There are no package deals offered, and the subscription service is normally difficult to cancel. Also, this product lacks patented ingredients as well as clinically proven ingredients in its formula, which would raise the standard to that of other, similar products on the market currently. More so, it should be highlighted that there are many other anti-aging products that are in the marketplace. These products just offer the end user better ingredients, better package deals, as well as clear instructions on how to use this product. With aspects as the aforementioned, the results will be more efficient than this product that lacks most of these elements.